I’m Toni VanderHeyden, and I lead the most productive, service–oriented real estate team in the state line area! Each team member specializes in one segment of the real estate transaction process communicating through a state of the art client care system. You can’t be a “Jack of all trades” and expect to do each task well, right? Instead, we work together, every day, figuring ways to better serve you, our real estate client! "I used Toni to sell my parent's house. I was out of town. She helped make the process go smoothly and recommend contractors to do work that I could not perform since I was out of town. I would use Toni again." "Toni and her staff went far beyond what could possibly be expected to find me the right property, negotiate, help with financing, answering every conceivable question. Every good thing you have heard about this company is true." "Professional, precise, and honest. Toni doesn't try to sugar coat the property or prospects so that a person is able to make informed decisions with no false illusions. She follows through and works aggressively to move the property"
"Toni Vander Heyden has sold two properties for me and exceeded my expectations for both of them. The photos they took of my house were superb! I especially liked the text message system they used to schedule showings and open houses. It was very efficient with my hectic schedule. They were very eager to hold open houses, and I was pleased that it was announced on Zillow each time." "Toni and her team helped us sell our home in less than a week. Everything went smoothly. The market is tough and our time frame was very tight. I'd recommend her highly." "Toni's team was very responsive and available for any questions or issues. Their knowledge of market allowed me to set a price that was competitive and the house was sold within 3 weeks. I would recommend them." "Toni is amazing. She responded to everything I needed in a timely manner. She also help me understand my house and neighborhood cost. I will use her for every project that i have going forward." "Our interaction with Toni was great, she listened to what we needed to do and provided expert insights and information for us to make decisions that resulted in the ability to close on our house and in a fairly quick turnaround time. There were few surprises and her team was responsive when we needed assistance"
My husband and I were recommended to sold on Toni, our buyers agent, Laura, was very knowledgeable about everything! We had very little to worry about with her guidance through the purchase of our first home. She warned us about issues concerning houses we looked at that we hadn’t noticed. And she made sure we understood every step of the process! Toni was very sensitive to our needs in selling our home. She gave us a comprehensive presentation of the market, and how our home compared to other homes being sold. We appreciated her opinions and went with her recommendations. The house sold in 2 days, with several competing offers. Toni's team was super responsive and knowledgeable, and helped us through the closing process without a hiccup. I worked with Greg Saunders from Sold on Toni and my experience was WONDERFUL! Responsive, supporitve, knowledgeable, and friendly! He walked me through the process of buying my first home and kept me informed during every step! Everyone was super friendly and the home buying process was easy as pie! As first time home buyers we were nervous about the whole process, but the team helped us through every aspect and were very patient with us. They were even able to work around our unconventional work schedules. Thanks so much! "Toni was forthcoming and upfront about everything and was very honest in her assessment for selling our home. She does have the heart of teacher and makes sure you understand everything before moving forward." "Very pleased with our experience with Sold on Toni. From start to finish, the whole team was well prepared and very professional. We look forward to many more deals with Toni and her outstanding team." "Phenomenal team! Very supportive and respectful!! I will always recommend Team Sold On Toni!!! The process was enjoyable and educational - I learned a lot from Greg and others in the office. Love my new home - excellent service!!" "Toni knew the market. She helped us set a price that was reasonable and would get offers. She thoroughly explained the offer sheet, every section of it. I would definitely sell my house with her again. Her whole team was very responsive to our needs." "She was very helpful in getting me into houses I wanted to see quickly. Most of the time we were able to view more than one house at a time. I would definitely recommend them." "This was an estate sale after my father passed away. Toni and her team were very understanding. House sold rather quickly considering airport property and a small market." The process of buying a home is exciting, yet has the potential to be terribly confusing, too! It takes a patient, professional consultant to navigate the process. Because our buyer specialist on Sold On Toni are full time and focused only on the buying side of the transaction, their expertise guides our clients through best lending practices, inventory selection, multiple bidding scenarios, and tricky home inspection negotiations seamlessly. Our process begins with a consultation to educate our buying clients in the current real estate market so they understand what to expect from the process. This is also the time we delve into what is really important to our client. It could be schools, neighborhoods, floor plans or property taxes. We listen. Period. Most importantly our buyer specialists match their urgency to that of our buyers. Sometimes we are requested simply to educate, and sometimes to watch the market for that one very special home. And yes, even sometimes to work long hard hours to secure a home in a weekend! Our time is your time. Our professional reputation in this market gives you, our buyer, a true advantage and a whole lot of peace of mind. Our current local economic market has challenged the value of your home and honed the selling skills of ours. Top in their field of expertise, our listing specialists analyze the market with an understanding and experience surrounding the determination of one of your biggest assets, your home. 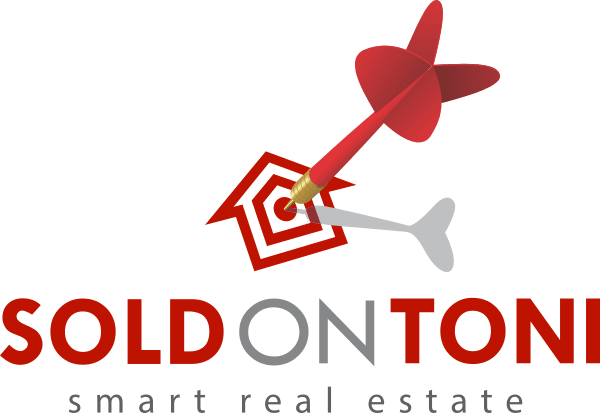 Our listing specialists are hired to sell your home for the absolute best price possible, and get you to the closing table with top dollar. The saying, "measure twice and cut once" is the wisdom in preparing and accurately pricing your home to sell. Not only do we have a staging company ready to assist you in preparing your home for sale, we also welcome you to our network of local professional contractors for those lingering repairs you've been meaning to accomplish. We have even negotiated helpful Sold On Toni client discounts due to our sheer volume of sales! Selling your home is not a passive placing of a sign in the front yard! It is an aggressive, energetic strategy of promotion, marketing and communication that gets the job done. Maybe that's why no one sells more than Sold On Toni! Zig Ziegler once said, "In a team, you see the strengths. In a single person, you see the weaknesses." Sold On Toni sells more homes than anyone else in the board for that reason. Each of us operate in our own area of expertise, and together, we achieve more...and have a lot more fun doing it! Team collaboration encourages us to mastermind the best service for our clients in the listing, buying, marketing and transaction coordination processes. Every day we endeavor to better serve you by asking and responding to your suggestions. We are not just sales people! We are consultants who happen to sell a whole lot of houses! Some people believe realtors simply show up to the closing. In reality our profession is like the duck paddling in the river. He sure seems calm on the surface, yet underneath there is a whole lot of activity! That's Sold On Toni. We are hired to anticipate those stress causing instances. You've got enough on your plate and don't need more! Selling a home every 34 hours means we've mastered the best way to list a home, buy a home, market a home and close a home. Are there stresses and troubles? You betcha. But that's our problem, not yours. Your job is to enjoy the process, pack your bags and dream about your next phase of life. We've got this!